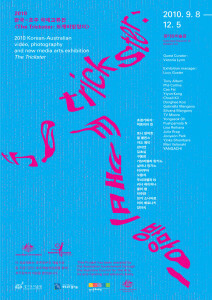 Gyeonggi Museum of Modern Art presents an exhibition of Korean and Australian video, photography and new media arts in an international context. This project is a part of its 2010 International Exchange Program inviting the independent curator Victoria Lynn from Australia as the leading curator. A diversity of public artworks by 18 artists will be spread out in an outdoor sculpture park of the museum. To keep up pace with the Publicity and Openness, which Gyeonggi MoMA is aiming at, site-specific work in the outdoor, temporary and process-oriented land art, eco-friendly and audience participatory sculpture/installation work, graphic arts and signage for practicality and light artwork for night time will be exhibiting. These are all experimental, practical, and also showing an idea of sense of place. Fluid Form I, an exhibition to shed light on Arab countries’ modern urban design and art aims to explore how humanity’s existence, population movement, and identity alteration reflect, influence, and interact with one another, bringing contemporary Arab art and architecture in the era of globalized communication to the spotlight. It is also intended to examine the past, present, and future urban topographic maps of the Gulf countries through visual materials. Since the 1990s, the Gulf region (Kuwait, Bahrain, Qatar, Abu Dhabi, Dubai) have been test sites for primary architects throughout the world. A new town directly affects culture, leisure, and economy. Social conventions kept by architects and engineers in this region and their bilateral collaborations need to be analyzed in order to grasp the process of any structural growth in a new habitation and sense any transformation. Projects by architects, engineers, and futurists in the Gulf area exercise a grave impact, overcoming regional limitations. 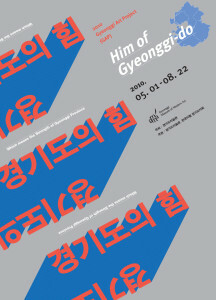 The Gyeonggi Museum of Modern Art presents Him of Gyeonggi-do, which means the Strength of Gyeonggi Province, for Gyeonggi Art Project in 2010. The Gyeonggi Art Project annually features critical issues encompassing politics, society, and culture in Gyeonggi Province for the purpose of modernizing and globalizing cultural heritage of Gyeonggi Province. At present, there are many artists who work for a number of museums, creation studios. and alternative spaces in Gyeonggi Province. 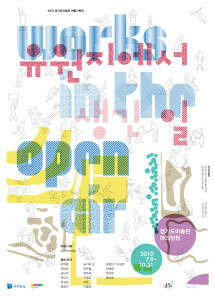 As Gyeonggi Province serves as an incubator for art creation, and a repository for creative inspiration to the artists, the Gyeonggi Museum of Modern Art shall strive to bring into actuality the function and role as a Provincial art museum by providing environments of exhibition and creation, and conditions for communication and participation to the artists through a variety of programs. 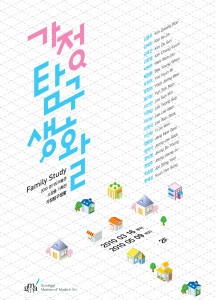 Gyeonggi Museum of Modern Art presents Spring exhibition with 23 museum collection putting in stories of home in our everyday life. Home in these days appears a broad variety images in accordance with the change of society. There are lots of difference in ways of reading relationship among family members as well as our life-style of dwelling. The exhibition space will be transformed into home theater running through thousand tales encountered a number of different desires of each members of the family. Home, the smallest unit of the society, we hope you have an opportunity to remind and look back what makes the home in change incredibly and how this home extends to the place for reunion and healing beyond dreams and love, hurt and solitude through this exhibition. In 2010 the GMoMA newly set a Project Gallery in the lobby. The museum presents The Fable 2010 as the first exhibition at the gallery. Since ancient times animals have been adopted as allegories in fables to commune with humans and have them look back on their life. This exhibition features works selected from the museum’s collections whose key subject matter is the tiger.